Use as feet or just finish off tube ends safely and neatly with our wide range. Available to fit round, square, rectangular, or flat sided oval tubes, including heavy-duty inserts for use with adjustable feet. Options: Various threads and tube dimensions. Ensure tube ends are capped off safely and neatly with our outside fitting ferrules. Options: Round and square tubes; heavy/ light duty fittings and angled ferrules, various tube dimensions. Standard colours: Black. Colours on request. Modern design, domed inserts for finishing off round tubes. 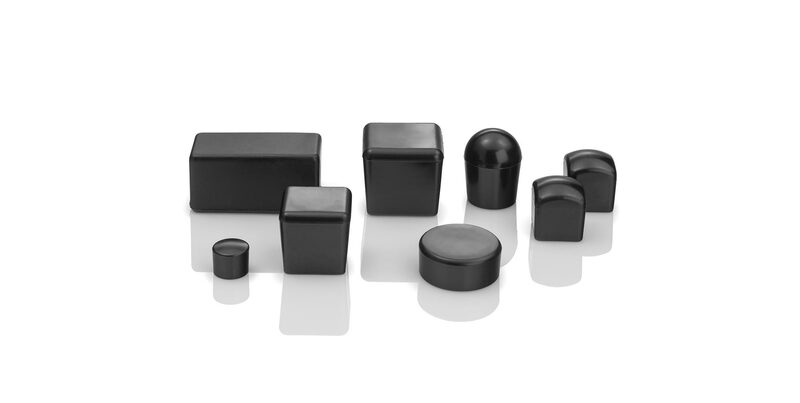 Half-moon domed inserts are available for round tubes. 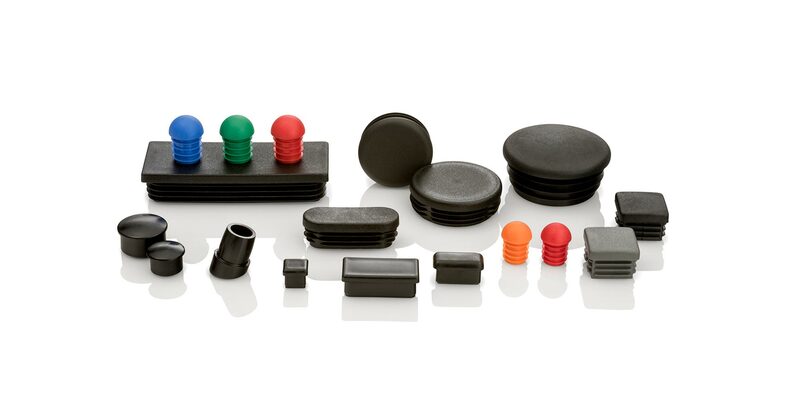 Applications: Moulded in a hard-wearing thermoplastic for finishing off round tubes. Options: Two sizes; 16 x 1.5mm and 19 x 1.5mm. Standard colour : Black. Colours on request. Can be used with our levelling feet to make your storage product easier to adjust. 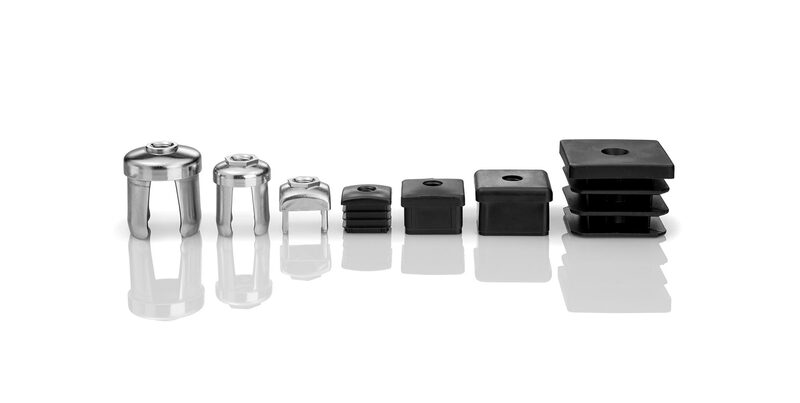 We produce a variety of threaded inserts using durable materials, for a robust product, easily fitted with adjustable feet. Options: Plastic- round, square or rectangular tubes. Steel- bright zinc plated or self-colour, round or square tubes. Various dimensions and threads.